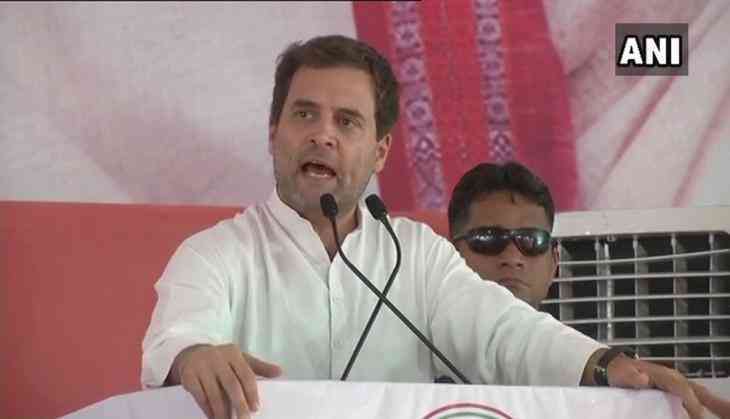 Adding to the controversy surrounding the Rafale deal, Congress President Rahul Gandhi said that the "fun has just begun" and in coming months his party will expose how every initiative under the Narendra Modi government is an act of theft. Continuing his tirade against the government over the fighter-jet deal, Gandhi stated that Prime Minister Modi has aided corruption by favouring Anil Ambani in the deal. The Congress President made these comments while addressing social media workers of the Congress in Amethi last night. The interaction was held at the Forest Department guest house in Amethi and was closed to the media. However, video of Rahul Gandhi's jibe at Narendra Modi was recorded by some attendees and was shared with local reporters. In a cryptic tweet dated August 30, Rahul Gandhi warned of "some big bunker buster bombs in the next couple of weeks" with regard to the fighter-jet deal. Days later, former French president François Hollande, in an interview to a French media house, claimed that the French government had no other option but to choose Reliance Defence as an Offset partner for Dassault Aviation. However, Hollande later backtracked in another interview and said only Dassault Aviation can comment on why Reliance Defence was chosen as the Offset partner. The BJP on Monday claimed that the Congress scrapped the Rafale deal with France as United Progressive Alliance (UPA) chairperson Sonia Gandhi's son-in-law Robert Vadra's company was not made a part of the deal. The controversial deal was signed by the NDA government with the French government in 2016 after scrapping negotiations made by the UPA government earlier. The UPA's original plan was to buy 18 off-the-shelf jets from France's Dassault Aviation, with 108 others being assembled in India by the state-run Hindustan Aeronautics Limited (HAL) in Bengaluru. Jayalalithaa no more: Can film star Ajith be Amma's successor?